Armas Pharmaceuticals has launched its first injectable to the US market in the form of Azacitidine for Injection 100 MG, a Vidaza generic, used for the treatment of myelodysplastic syndrome. A type of cancer, myelodysplastic syndrome leads to low count of one or more blood cell types. In May 2004, Vidaza, a nucleoside metabolic inhibitor developed by Celgene, became the first drug to be approved by the FDA for the treatment of myelodysplastic syndrome and its five subtypes. According to Armas Pharmaceuticals, the Azacitidine oncology injectable has a market size of about $116 million annually. 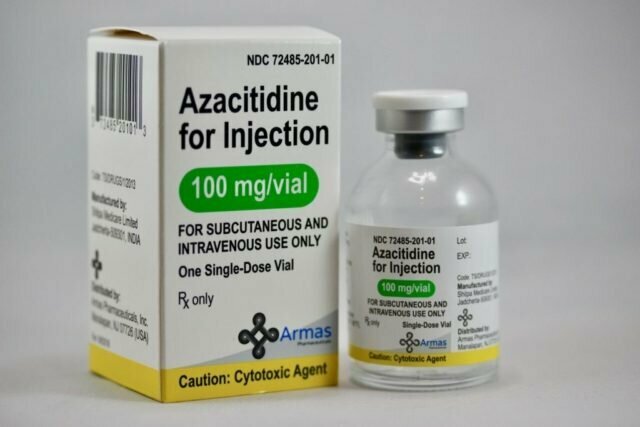 Azacitidine for Injection 100 MG is a Vidaza generic used for the treatment of myelodysplastic syndrome. Photo courtesy of Armas Pharmaceuticals, Inc. The NJ based multisource pharmaceutical corporation says that it is likely to roll out nine or more generic injectable and oral products during the first quarter of next year, with a market size totaling over $430 million annually.